Starting My Blogging Journey Again with Chicken Handi! Hey There! Wish you all a very Happy New Year! Ive been on a blogging hiatus in 2017 and it feels so good to be back. I honestly missed my little space on the internet and did make a few unsuccessful attempts to get back. 2018 is going to be my come back year. And hopefully I will keep the rhythm going. So for my come back recipe I chose an easy Indian Chicken Curry. I wanted to showcase the beauty of Indian cuisine with so many variations across India. A minor change in an ingredient or process can lead to a completely different flavor profile. 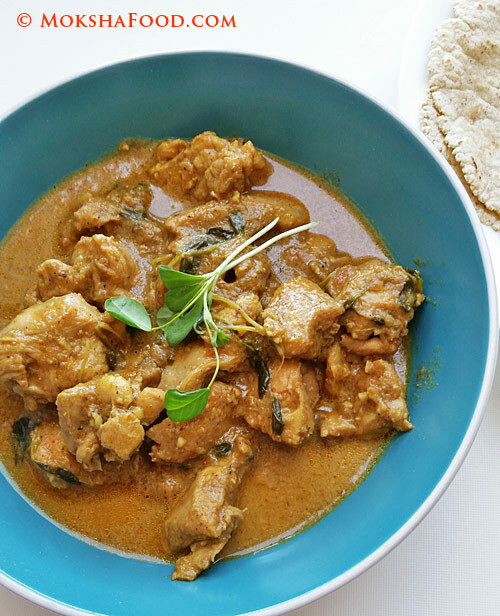 This recipe stands out as the curry is entirely cooked in ghee. I usually am conservative with the amount of oil or ghee used. Oil floating over curries puts me off. I don't believe you need tons of oil to cook any curry and have been using minimal amounts. But decided to take my chances with ghee as its been proven again to more beneficial. 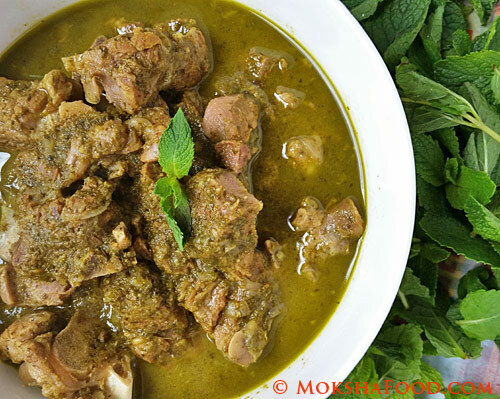 Pudina Ghosht: Goat meat in Mint curry! Chicken just like potatoes can be cooked and flavored in infinite ways. But every Sunday which is ourgoat meat /mutton feasting day, I am torn between the left creative side of my head and cautious practical right side. I usually pair the goat meat with strong spices which compliment it well. Today I took a detour and decided to try a refreshing herbmint/pudina. I supported the mint with some cilantro/coriander leaves and churned out a delicious Mint flavored Goat curry /Pudina Ghosht. The refreshing herbs balanced the spices and meat flavors perfectly. This recipe is a winner and will have many repeats. Methi Chicken with Fenugreek Micro-greens! This summer I exercised my green thumb and tried growing a few easy plants and vegetables at home. I managed to get my hands on Indian favorites like Tulsi (Holy Basil), Hibiscus and Money Plant (Epipremnum aureum). In a tiny corner of my solarium, I am enthusiastically growing fenugreek (methi), chilies and tomatoes from seeds. The fenugreek micro-greens are easiest to grow with 3-4 weeks growth cycle. My first harvest of fenugreek micro-greens was so beautiful that I didn't have the heart to pull it out. My daughter loves munching on the micro-greens raw. That's the healthiest snack anybody could ever have. I noticed some stems slowly wilting away so had to think of ways to put them to good use. I had some ideas dancing in my mind like Methi Bajra Debras -Fenugreek Millet Flatbread, or Fenugreek Millet Fritters but wanted to try something new. I had to prepare a chicken curry and decided to add fenugreek micro-green to enhance the taste and nutritional value. Lau Ghonto: Creamy Bottlegourd Curry! Bottle gourd/dudhi/lauki/lau is a mild tasting vegetable. Its usually heavily flavored with spices or other ingredients to make it more enjoyable. 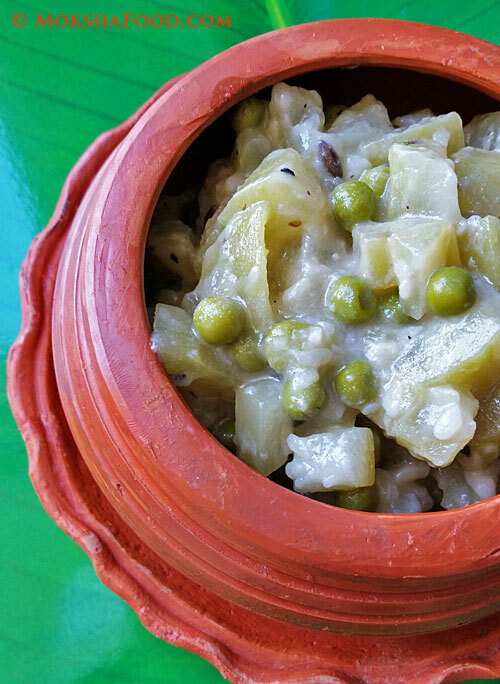 Lau Ghonto is a gem in the Bengali cuisine repertoire which not only celebrates the mild flavor of bottle gourd but further enhances it by lending a creamy texture with milk and mildly sweetening it with sugar. Bottle gourd contains high water content and is considered to have cooling properties on the body. This vegetable is ideal to cook during the hot summer months. It really cooks in a jiffy so you can be out of your kitchen and enjoy your summer outdoors. This recipe is a must try for even bottle gourd haters and easy to appease kids. Lentils are a great source of protein for vegetarians and vegans. Indian cuisine has a well evolved understanding of vegetarian food habits and balances the diet with a large variety of lentils and vegetables. Lentils also known as dals is a regular staple in every Indian meal. Each lentil is cooked in numerous ways across Indiasuch that you could make a different recipe of dal every day of the week. Lentils/ Dals are also made into snacks or desserts. 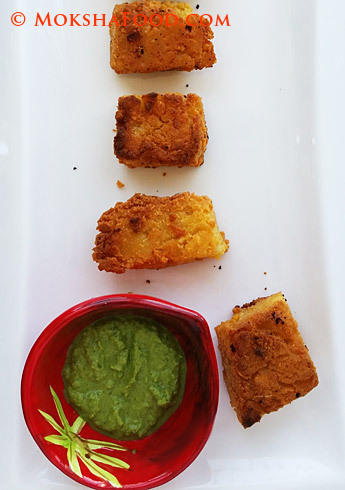 These Lentil Squares/ Cakes can be had as a healthy protein packed snack or you could smother them in your favorite sauce as a main course meal. I just returned from a trip to Quebec and all I could do was to ogle and drool over the amazing crepes been dished out at every corner there. This is one of the times when I feel deprived cause of my gluten free diet. Coming back home I just had to make crepes but these would be better and much more healthier. 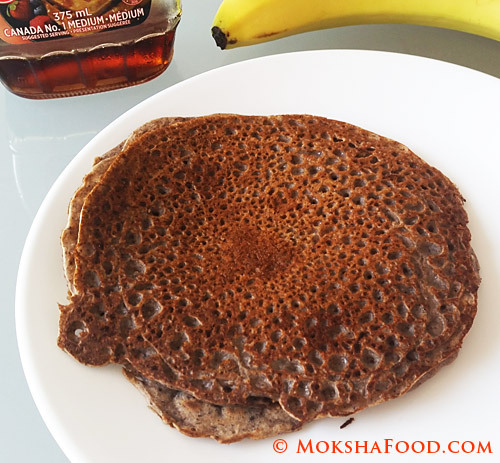 My daughter is home on her summer break so these buckwheat crepes turned out to be a delicious, healthy breakfast that we put together. Buckwheat, quite contrary to its name is naturally wheat and gluten free. Its a rich source of protein, dietary fibers, B vitamins and minerals. Buckwheat is 72% carbohydrates, including 10% dietary fiber, 3% fat and 13% protein. Buckwheat noodles are very popular in Soba noodles of Japan and the rest of Asia. In India, its usually consumed as a grain during Hindu religious fasting days. Locally called as Kuttu, it is used to prepare kuttu ki puri (fried bread). Summer is finally here and with that came farm fresh fruits and vegetables. Apricots have began to flood the market. After chomping down on some fresh apricots. I have been torn between deciding to make a sweet or savory preparation with it. Finally the curiosity of a fruity chicken overcame me and that became our dinner last night. 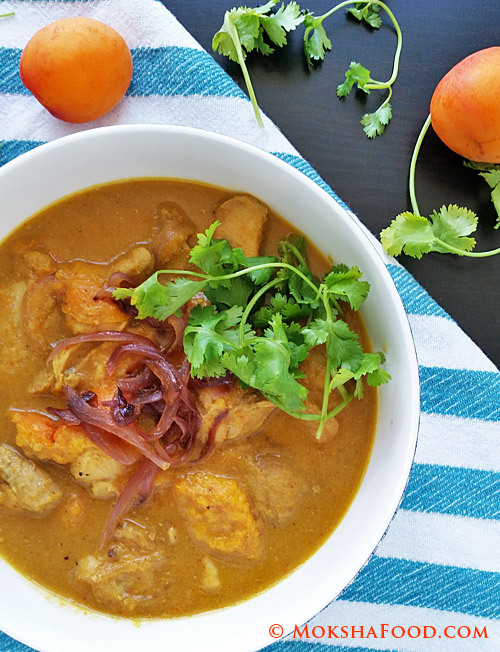 Apricot Chicken is a mild Moroccan tagine which I have adapted to an Indian Curry style. The tagine recipe has ingredients like onions, garlic, cumin and coriander which are common elements in an Indian curry too. I also happened to read that Kashmiris, who inhabit the north of India, have also been cooking apricots in a curry style. 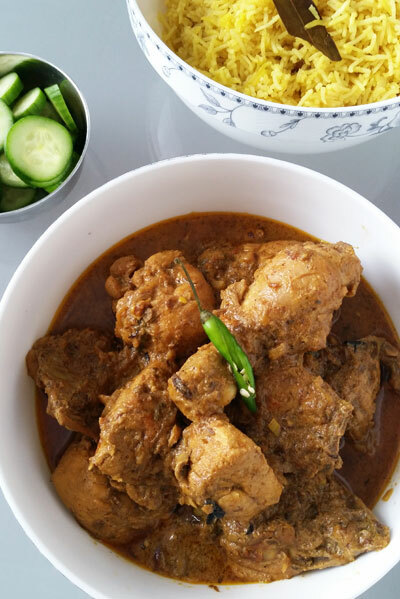 I didn't have access to their authentic recipes so just worked around my usual chicken curry recipe.